I recently attended a writer’s conference in Tempe, Arizona. Toby stayed close to the suitcase as I packed. Just in case, he was getting to tag along. 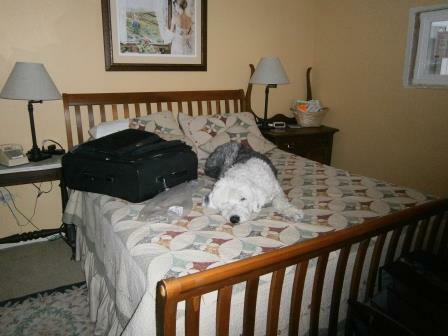 Once I arrived, I learned Tempe Desert Palms is a pet friendly hotel. My four-legged boys and hubby could have come along. Tempe was bright with sunshine and warm temperatures. They would have enjoyed a break from the still cool days in Colorado. Next time. Truthfully, I’m not sure I would have seen much of them even if they’d come with me. This was my first conference in a while. 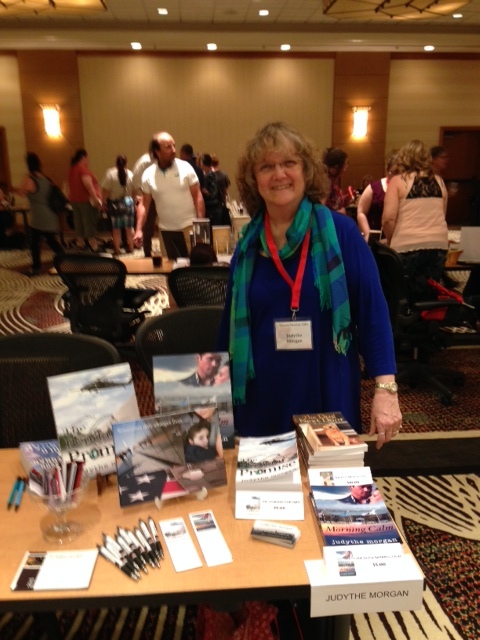 I spent my time visiting with friends, fellow Romance Writers of America authors, and making new friends. And, I had a ball. The conference workshops were informative. Two sessions by Mary Buckham were outstanding! If you ever have a chance to hear Mary speak, run don’t walk to sign up. She’s an awesome teacher. My friend Christy Craig was keynote. Her story from high school dropout to New York Times best selling author is awe-inspiring. The food was great – brisket for the conference luncheon, not chicken. What a treat! However, the very best part of the Desert Dreams 2014 Conference was the book signing on Saturday night. I was pleasantly surprised that setting up my book table wasn’t near as much trouble as setting up sales booths at antiques shows. My husband would have liked that part too. For an hour and a half, readers stopped to chat and shared fascinating stories about their military ties or precious insights into their personal love stories. That was my favorite part of the book signing…hearing stories of loved ones who served or were serving in the military. 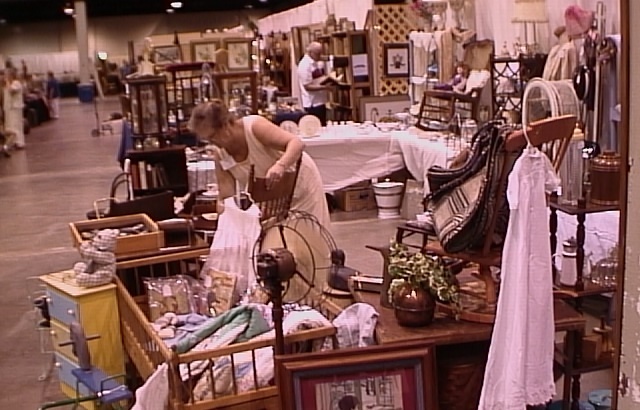 Talking to folks was always my favorite part of antiques shows too. Before the evening ended, I switched to my reader’s hat and visited with some of my favorite authors at their displays. Yes, I brought home more books. How about you? Have you attended a book signing? Running late to thank you for a lovely shout out. You’re the best!